This already belongs to the category of (textual, psychic, political) work, and alludes to the second kind of logic, which we called the 'logic of desire' and which is also a logic of the actions, often identified with the Oedipus complex, by which Freud specified the model of (male) identity formation, but also a contradictory relationship between knowledge and belief, between the motives for action and their conscious rationalization. The particular interplay of surface and depth structure, linear movement, and obsessive repetition at the formal level has thus been called the 'Oedipal trajectory' of classical narrative. What this implies is that, irrespective of what a protagonist thinks his goal, problem, or ambition is at the practical, everyday level, he is also engaged at the symbolic or cultural level, usually in a crisis of identity, worrying about what it means to be or to become a man, anxious about his masculinity or ethnic identity, his place in the world, and in the process of finding out who he is, defending himself against castration anxiety and the threat of sexual difference. This Oedipal logic is particularly evident in the action-adventure genres, as well as the Western, the thriller, and the film noir. A differently gendered variant would be the logic of melodrama, where the main protagonist is generally a woman, and where the film charts the formation of female identity, or rather, its impossibility (what Mary Ann Doane (1987) has called 'the desire to desire'). An Aristotelian or Proppian analysis generally does not seek to describe this Oedipal trajectory. When clarifying what drives a narrative forward, what gets the protagonist going and keeps him/her going, the neo-formalist model does not problematize, for instance, the relation between the adventure plot and the romance plot. It is satisfied with noting the conflict between the hero wanting something and the world (often embodied in a clearly defined antagonist), putting obstacles in the way of the hero's object of desire. In Propp's morphological model, the motor is a lack, a missing object or person that the protagonist has to restore to its rightful place, like returning the princess to the king (her father) or getting the magic ring back from the evil dragon. In either case, however, positing an Oedipal trajectory does not invalidate or contradict the logic of the actions, and instead supplements and deepens it. For instance, identifying 'lack' with 'castration anxiety' is in one sense merely to link the object of desire or the missing object to a transgression: if in Aristotelian tragedy the hero has knowingly or unknowingly broken a law, which produces consequences that the hero has to address and his actions are called upon to redress, then in a more psychoanalytic language we could say that his actions are designed to defend himself against the anxiety of (sexual) difference, through adopting fetish objects and a narcissistic investment in his own bodily identity. A film like Die Hard is an outstanding example of this kind of logic: McClane assembles a number of fetish objects, and he has a particularly striking obsession with his physical body. So much so that we may even have to consider these features once more under the rubric of the post-classical, if we concede that the post-classical is not the non-classical or the anti-classical, but the excessively classical, the 'classical-plus'. On the other hand, invoking the most abstract and general level of classical narrative, we could also summarize the logic of the actions as revolving around a disturbance/transgression, followed by the closing of a gap, and the return to a revised status quo ante. An even more basic schema would be to say that any narrative structure is complete when it consists of a triple structure: a state of equilibrium, followed by a disequilibrium, which is worked upon until a new equilibrium is established. This, too, would fit the situation of Die Hard: the equilibrium is the nuclear family (and the traditional roles of male/female within the family), disturbed by Holly leaving for Los Angeles (and taking on the male role of provider), which is being 'worked upon' (Holly exposed to mortal danger, John coming to her rescue), until the equilibrium is reestablished (at the end, John is once more in control and presumably Holly is ready to have him resume his role as head of the family). Thus, one of the tasks of textual analysis - one of the hypotheses when analysing a film - is to ask: what is the nature of the goal, the missing object or lack, or the disturbance/transgression in this particular film? If one follows Lévi-Strauss, the question would be: what is the 'real contradiction' for which the film narrative provides the imaginary resolution? And if one adopts Greimas's semiotic square: what are the relations of contrariness, contradiction, and implication that hold the contending forces in balance and at the same time move them towards the generation of a new, mediating term? In all these cases, the greatest formal resource of the classical film would seem to be the extraordinary number of different kinds of symmetry, asymmetry, and repetition it generates, whether in the form of mirroring and doubling, or of splitting and reversal, echoes and parallels. Bellour has made this feature central to his type of textual analysis (in his essays on The Birds, Gigi, and The Lonedale Operator, in Bellour 2000). Analysing a sequence from Hitchcock's The Birds, for instance (Melanie crossing Bodega Bay to deliver the pair of love birds), Bellour can demonstrate how different kinds of symmetry, asymmetry, and alternation manage to structure the scene into a coherent statement, merely by exploiting three types of binary pairs: moving camera/static camera, Melanie looking/Melanie being looked at, and close shot/long shot. In Minnelli's Gigi, Bellour takes a whole film and meticulously demonstrates how its individual sequences are organized into an exactly symmetrical shape, so that the whole film folds into itself, like an intricate origami figure, but also folds outward from relatively simple units, which are like themes and variations in music, to build up a complete, seemingly linear narrative. Not only is the film structured like a poem, in that each sequence rhymes with another sequence, but individual sequences often turn out to have the same structure as the film overall, in other words, repeating itself at different levels, like the morphology of a plant, or like the fractals of the Mandelbrot set that computers generate out of very simple forms and programmes. In the case of Griffith's The Lonedale Operator, Bellour argues that the Hollywood narrative film progresses and comes to a closure by what he calls the 'repetition-resolution' effect, which is his micro-analytical adaptation of Lévi-Strauss's equation with multiple variables. In other words, the excessive and insistent symmetries of the classical film are in fact no mere ornament or 'formal play', but the essential semantic/syntactic elements which the narrative puts to 'textual work', in order to accomplish an aesthetic effect (coherence, homogeneity, natural or organic unity) that doubles as ideological work (the naturalization of different kinds of cultural contradiction). This work one can describe in two ways. First, it is this repetition-resolution which reconciles or makes imperceptible the two different levels we mentioned earlier, the surface level and the depth level. While on the surface a Hollywood film impresses with its relentless forward drive, it cause-and-effect logic, its blow and counterblow, its qtiestion-and-answer progression, at the other level nothing really moves, and the narrative simply repeats the same configuration over and over again, as if the film - or its central character - was coming up against the proverbial brick wall. Bellour has a name for this effect, too. He calls it the 'symbolic blockage' (see his analysis of Hitchcock's North by Northwest, or the final remarks in his essay on Gigi, in Bellour 2000), and also ties it firmly to the Oedipus complex, according to which both men and women have to learn to live within the patriarchal law, and the gender imbalance it implies. Rational agent logic and the logic of desire are therefore the recto and verso of each other, two sides of the same coin, put in circulation to help us cope with the contradictions of our culture or the conditions of human subjectivity/identity. The advantage of Bellour's formula is that it combines a micro-analysis of classical Hollywood's stylistic devices and formal features with a macro-analysis of Hollywood's cultural significance and 'civilizing ' achievement. These he ranks as highly as Greek mythology and the realist novel, insofar as they all represent aesthetically satisfying, self-contained, and self-regulating 'universes' that not only perfectly express the world-view of the periods or nations that brought them forth but also retain a validity and truth even for those who do not (or no longer) subscribe to their value systems or ideology. To some extent, the neo-formalist analysis of classical narrative would be able to go along with Bellour's evaluation, maybe even extending it by arguing that there is a natural convergence between the formal characteristics of classical narrative and the organization of the mind: that the principles of Hollywood story-telling are closely modelled on the human mind's perceptual and cognitive organization, which explains both the longevity of the form and the universality of its appeal. However, there are many who would dissent from this view, considering it ahistorical and ideologically blind, unacceptably ethnocentric, and biased in favour of the United States, its economy and its ideology, its patriarchal capitalist values, and its hegemonic role in the world. Thus, there is a second manner of looking at the 'work' done by classical narrative, with its formal semantics that relies so heavily on symmetry and repetition, using them to disguise and naturalize the very fact that it is a semantics and a rhetoric -which is to say that these images of fictional characters, their actions, reactions, contests, and victories, also spell out messages, addressed to someone, with the expectation of persuading and the effect of exacting assent. These sharply ideological critiques of classical Hollywood narrative, as an instrument of capitalism and the bourgeois value system, predominated in the 1970s. They were followed by a further radicalization of the argument in the 1980s, when feminist critics deconstructed this anti-bourgeois critique, in order to add to the charge-sheet patriarchy and sexual difference: classical narrative perpetuated gender stereotypes and reinforced gender imbalance not only by its emphasis on heterosexual romance but in the very stylistic devices that guarantee continuity editing, notably the shot/reverse shot and the eyeline match which split the visual field into the gendered opposition of 'seeing' and 'being seen'. In the 1990s, this reading of classical narrative once more gave way to a broader historical and cultural critique that added 'race' to the previous critical paradigms of the ideological and the feminist critique, now referred to as 'class' and 'gender'. We shall come back to the co-presence of three such critical concerns or 'discourses' in the analysis of classical Hollywood, making them part of our hypothesis about the possible definitions of the post-classical, and of our case for seeing the label fulfil a valid critical function, beyond or apart from its uses as a distinct stylistic or formal category. To conduct a complete analysis of Die Hard in the spirit of either Bellour or Bordwell would take up more space than we can give it here. Therefore we shall switch between macro- and micro-analysis, first by picking for commentary only one, albeit extended, passage (the opening), and second, by choosing a form of segmentation that varies between noting specifically filmic elements (the treatment of sound and image, of space, camera movement, and visual composition) and non film-specific ones, i.e. cognitive body schema and spatial categories, such as inside/outside, arrival/departure, or culturally (over)determined roles (such as 'husband/wife', 'mother/ father', 'superior/ subordinate') and character attributes ('violent'/'vulnerable', 'nurturing'/ 'macho'). We shall leave out the more fine-grained analysis of a single sequence or shot, of the kind Bellour has done in his analysis of The Big Sleep (2000: 69-76), where he minutely breaks down and segments no more than twelve shots to demonstrate their inner cohesion. Nor shall we conduct an analysis that hierarchizes shots of different type and specifies the order of their combination (as Christian Metz has tried with his grande syntagmatique (1974: 108-46)). Some of the most influential extended application of this type of micro-analysis to classical Hollywood films can be found, besides the work of Bellour, in essays by Stephen Heath, who has conducted readings of entire films in an effort to provide exemplary and generalizable models of textual analysis (see his analysis of Welles's Touch of Evil (Heath 1975). Both Bellour and Heath have come to rather similar conclusions, which beyond individual authorship may either confirm the homogeneity of the Hollywood classical system or indicate common positions (or problems!) in their methodological assumptions. Especially with regard to the latter, Heath's work has received sustained criticism by scholars such as David Bordwell, Noël Carroll, and Edward Branigan, who in their turn have also provided close textual analyses of particular films and sequences, using cognitivist rather than psychosemiotic models (cf. Bordwell's analysis of Rear Window (1985: 40-47), and Branigan's analysis of Hangover Square (1992: 125—40)). 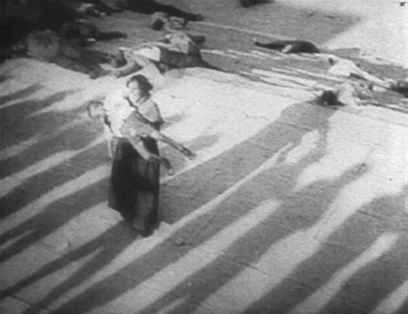 Bordwell has also provided close stylistic analysis of shots and sequences, often on a comparative basis, by trying to describe the larger systems behind compositional choices, such as background/foreground, figure placement, and the staging and blocking of the action (following, e.g., in his On the History of Film Style (1997) the analyses of early cinema conducted by Barry Salt, Kristin Thompson, or Yuri Tsivian). In our 'classical' analysis of Die Hard, we shall begin with a brief overview of the vocabulary recurring in the newspaper reviews, before moving to a more scholarly defined set of terms, used predominantly in structuralist analyses, such as the one by Thierry Kuntzel. His textual analysis of The Most Dangerous Game, a non-auteur Hollywood film from the early 1930s, is in some sense exemplary for our purposes because it is a sort of theoretical summary of the formal phase of analysing classical narrative, while also touching on broadly ideological motifs insofar as he subscribes to the assumption that the cinema when telling stories also does 'work', in the sense discussed above (Kuntzel 1980). Besides having internalized the methodological debates around Propp, Lévi-Strauss, and Greimas, followed the narratological developments around Barthes and Genette, and attended to the film-specific codes identified by Metz and Bellour, Kuntzel has also looked once more at Sigmund Freud's model of dream-work, in order to make some of its key concepts, such as condensation and displacement, useful for film analysis.